We get a lot of help from our lovely support team! To name just a few of them: DL7JTZ & family help with errecting antennas, DG1BRS & XYL DO3GMG help with antennas and "online support" (cooking, barbeque, coffee, a.s.o. 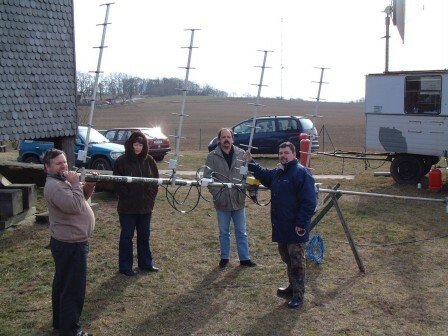 ), DM7MRE & wife visit regularly to get antennas up and bring some nice cookies, etc.pp.